As Hurricane Irma barrels through the Atlantic, residents of Florida and Puerto Rico are bracing for catastrophic damage, both having declared states of emergency. The category 5 storm has become one of the most powerful storms in the Atlantic ever. Scientists have spoken out clearly about the impact of climate change on our storms. As air and water temperatures increase and sea levels rise, the severity of our storms and their potential for destruction increase as well. Hurricane Harvey in Houston was a prime example of how climate change makes hurricanes more powerful and dangerous. Unfortunately, the Trump administration is on a fast track setting climate progress back, which will only exacerbate the effect of future storms. By packing the administration with climate change deniers, withdrawing from the Paris climate accords, dismantling a federal advisory committee on climate change, and dealing blow after blow to the scientific community, the Trump administration has shown that it is completely irresponsible when it comes to climate change. Even Ivanka Trump, who promised to try to influence her father on certain issues like climate change, has quietly accepted the administration’s lack of action on this very serious issue. 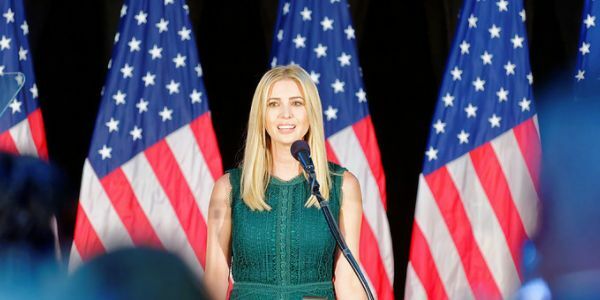 Ivanka Trump can say what she wants about climate change, but as long as she quietly stands back, she remains complicit in the destruction we all face at the hands of her father’s administration. That’s why we’re petitioning the World Meteorological Association to rename Hurricane Irma to Hurricane Ivanka. We need to put pressure on members of Trump’s administration to take real a stand for the health and safety of our world and generations to come. Please sign this petition demanding that the World Meteorological Association change Hurricane Irma’s name to Hurricane Ivanka.